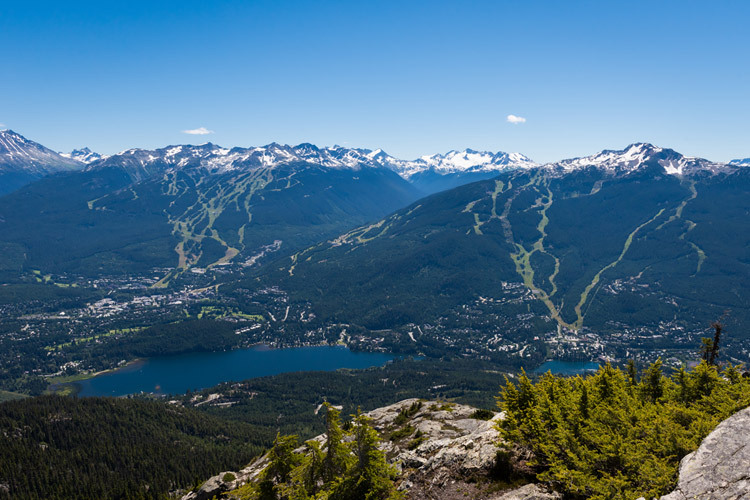 In summer of 2018 Whistler Blackcomb is building a new gondola on Blackcomb Mountain in the area around the Blackcomb Ascent Trails. 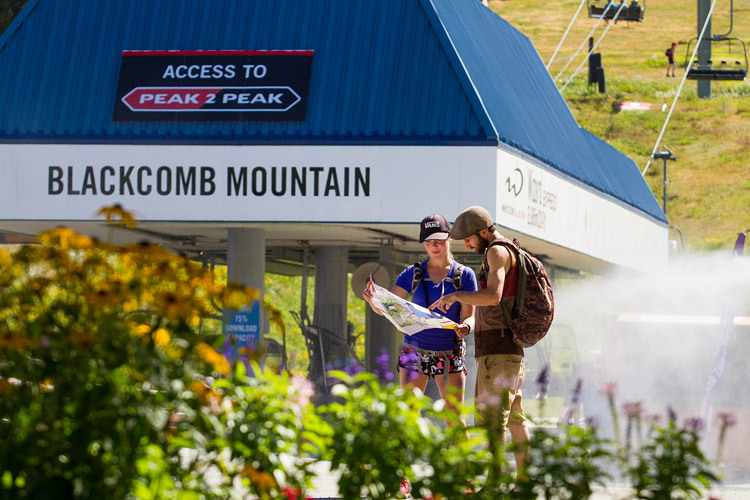 To ensure safety of visitors, the Ascent trails will be closed this year. 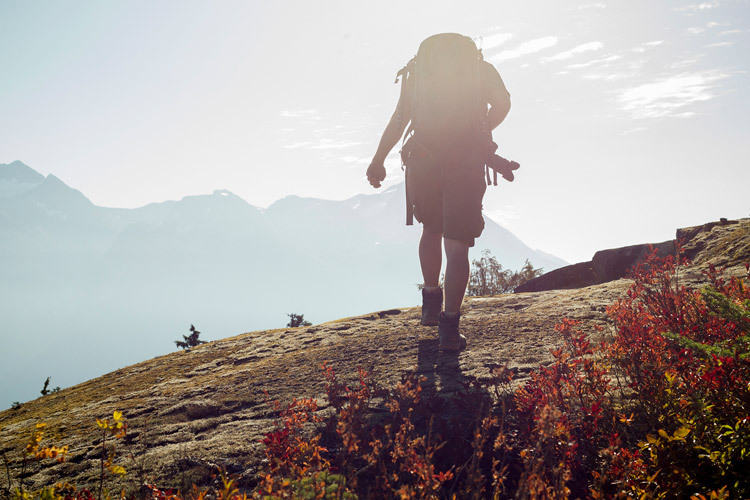 Any local worth their salt knows that there are a ton of amazing hiking trails to stretch your legs out on top of both Whistler and Blackcomb mountains, but this year there’s a new hiking experience for those looking to get a bit more of a sweat on – the Blackcomb Ascent Trail. The Blackcomb Ascent Trail connects the Upper Village base area to The Rendezvous Lodge on Blackcomb Mountain. Divided into three distinct sections – Little Burn, Big Burn and Heart Burn – these three trails span 6.1 km of beautiful machine-built singletrack in the spirit of the famous Grouse Grind – all uphill for maximum fun and fitness. 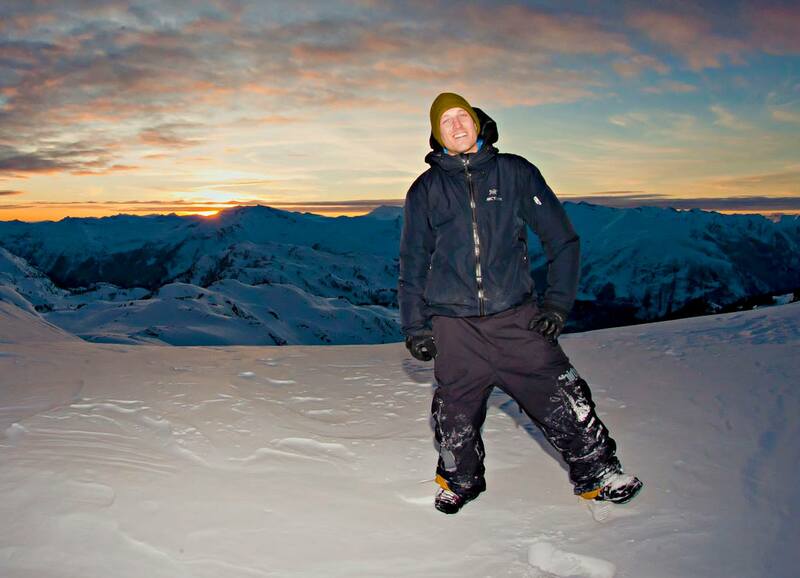 Clocking in at 1, 200 m (3, 937 ft) elevation gain, it’s sure to get the heart going. So rest well, take food and water and think about hitting the slopes in the cool of the early morning for the best uphill hiking experience. Suitable for hikers with a reasonable amount of fitness, the Ascent Trail is beautifully built and should present no great challenge to anyone who enjoys a bit of leg work. Starting in the Upper Village, follow the signs and it’s just 100 m from the Blackcomb Base area where you can escape the sun and cacophony of sound coming from the kids activity area and escape into the cool forest. It’s amazing how taking a few steps into the forest can seem like entering another world. The first of the three sections – Little Burn Trail – is a quick 0.8 km with 100 m of elevation gain and pops out at Base Two. There’s lots of really nice signage and places to stop and take in the beauty of the old growth Coastal Rainforest. 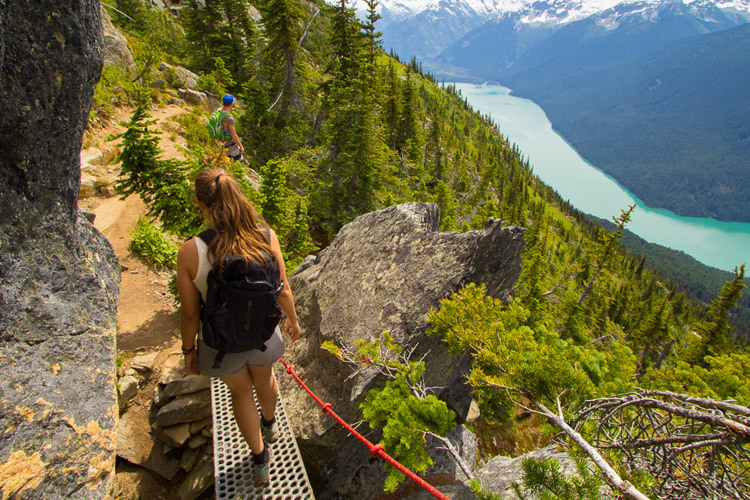 Trail creators Whistler Blackcomb have done a great job of explaining all the different types of trees and other plants – even the most hardened of local might be surprised to find they don’t know all the different tree types found on the hill. A blanket of moss adds an almost surreal look to the incredible forest ecosystem. Beautifully built bridges, chains along rocks and even a few staircases make sure there’s plenty of variety in the trail. While there’s not so many built features as to take away the nature-ey feel, it’s a nice touch that makes it easy to recommend the trail to people looking for a less technical ascent. Western hemlock, Yellow Cedar, Western Red Cedar and Douglas Firs dominate the Coastal Temperate Rainforest that the Ascent Trail winds through, with some of these giant trees reaching as old as 250 years old and as big around as a bus. About two-thirds of the way up, the trail exits the forest for a brief second and allows for a perfect spot to take a break and take in the view of the valley below before re-entering the last, and perhaps most beautiful section of trail. Incredibly lush and mossy sections of trail are interwoven with gently babbling creeks creating a sense of truly being in another world far away from the hustle and bustle of Whistler. Here you can forget how close you are to the ski runs and ski lifts and be transported to a much simpler place, one where you don’t need anything but the power of your own two feet to enjoy nature at it’s finest. This is the beauty of the Ascent Trail – it offers a completely different experience than what we’re used to being given on the mountains, something much more approaching the solitude and gentleness of the backcountry we so often seek. You really feel like you’ve truly made contact with the low-mountain ecosystem, as opposed to just skimming right over it on a chairlift on your way to higher pastures. It’s the perfect compliment to the 50+ kms of alpine hiking trails higher up on the resort. From July 8, 2017 you’ll be able to continue on hiking up Heart Burn to the Rendezvous Lodge where restaurants and ice cream await. 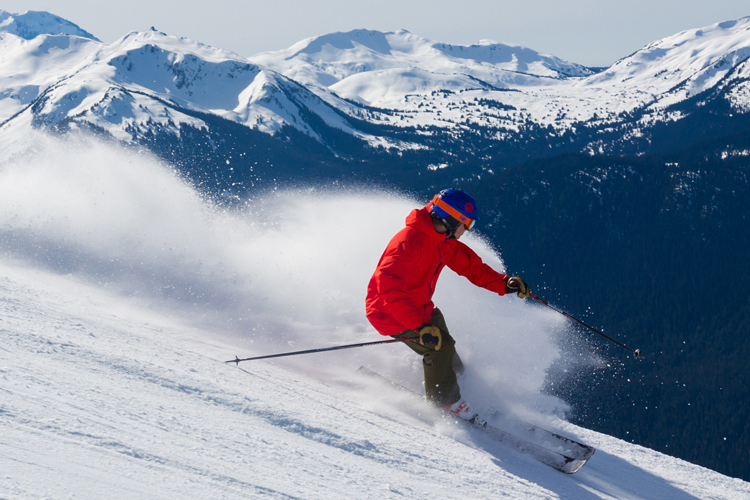 In an effort to give its guests as many options as possible to enjoy the mountain, the $15 Blackcomb Ascent Download Only lift ticket allows you to download on the chairlifts. You can also grab a $30 Blackcomb Ascent Trail Ticket for $30 which allows you upload on Solar Coaster, or hike all the way to the Rendezvous Lodge and hit the PEAK 2 PEAK Gondola across to Whistler Mountain, check out the incredible views from the Roundhouse and then download. Insider tip: It’s possibly one of the best deals on offer right now, as doing the hike can save you close to $45 on the regular priced sightseeing lift ticket. 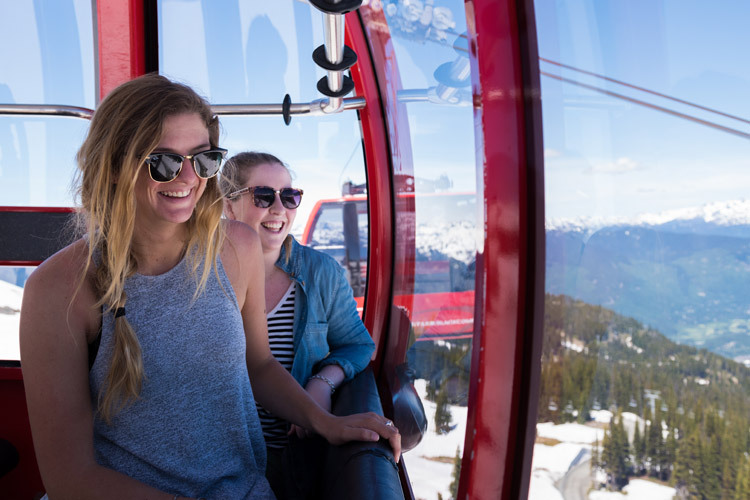 Good to Know: Winter Season Passholders, Bike Park Season Passholders and Whistler Blackcomb PEAK 2 PEAK 360 Pass holders get unlimited access to the hiking lifts all summer long – just bring your RFID card and go straight to the lifts. Back down in the Blackcomb Base area, wind down with a drink and a snack at one of the many fine establishments and enjoy a toast to a job well done. 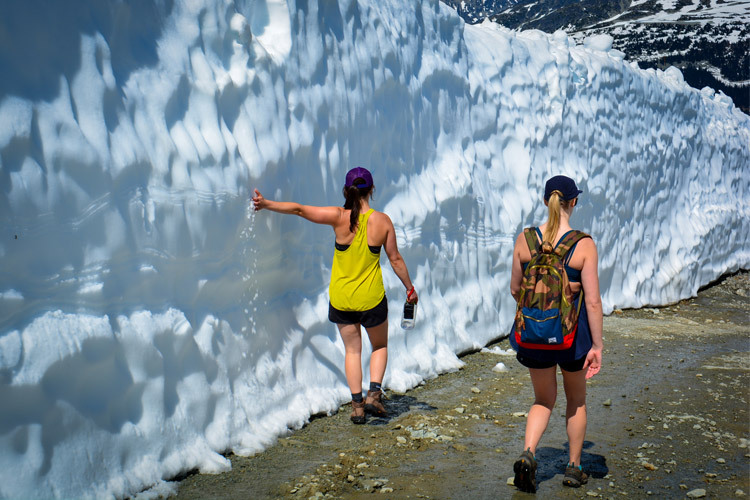 There’s something innately satisfying with any activity that hinges on your own personal fitness and the Blackcomb Ascent Trail is a great way to get that feeling of accomplishment. Kudos to Whistler Blackcomb for recognizing that many people actually enjoy getting sweaty on their way to a cold beer. Not everything in life is easy, and it’s not meant to be. And I can only assume that eventually there will be trails all up and down both mountains … how fun would it be to do a loop of the resort strictly by foot power?! For more summer activities and adventures see Whistler.com.